Kayla Braxton and Vic Joseph talk about tonight’s matches. They also explain that the tournament is a round robin format this season with SmackDown and RAW each having a five-team bracket. 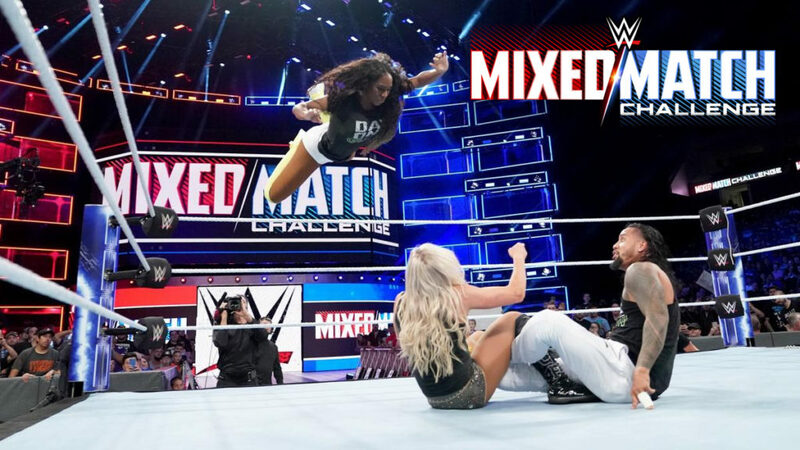 Highlight reels for Braun Strowman and Ember Moon. Highlight reels for Kevin Owens and Natalya. Highlight reels for AJ Styles and Charlotte. Highlight reels for Jimmy Uso and Naomi. Pretty good match. Owens had more offense against Strowman in this match than at Summer Slam. That’s not saying much, but Owens did look good here. Natalya and Ember Moon also had some pretty good exchanges. Sasha Banks and Bobby Lashley are preparing to dominate. Alicia Fox is excited, but Jinder Mahal says they need to find inner peace if they want to win. I liked this match a lot. Neither team tried to take any cheap shots, and they all seem to have fun. They were all doing some unique things together, and the sequence leading up to the finish put a smile on my face. Miz translates for Asuka. He says Asuka said they will win the whole tournament again this season. R-Truth will finally pin Carmella next week. This was a good first episode. I like how these matches feel like they’re completely separate from any ongoing story line. The wrestlers seem to have a lot of fun with them which makes it fun to watch. This was more fun than the opening match, and the finish was a lot more frenetic and exciting.